This GIA certified 2.08 carat Round Brilliant cut diamond solitaire engagement ring. The diamond is exceptionally well cut with an I color and VS2 clarity. Designed and made in New York City, set in 18k yellow gold. 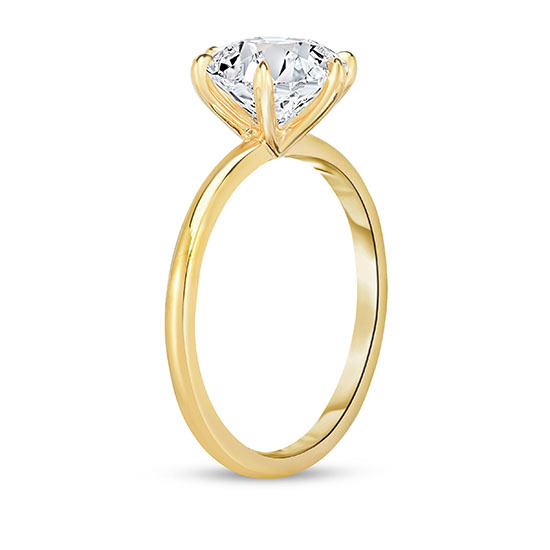 The six-prong ring, designed by Jewelry designer, Douglas Elliott, provides exceptional security to the diamond without a crossbar basket setting. The diamond sits naturally in the center as if it’s in a perfect state of suspension. The diamond can be viewed all the way around because there is no cross bar. Its sleek, modern and delicate look is perfect for today’s professional woman who balances multiple responsibilities and is always on the go. 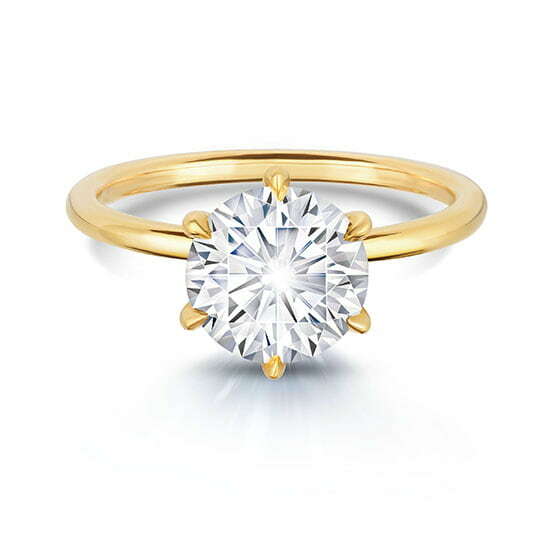 Because it’s a round brilliant diamond solitaire, it will always be in style. Please contact us to schedule an appointment and explore the different options available to you. We look forward to working with you to create the perfect ring.